My dear friend Shelly's birthday was in February. 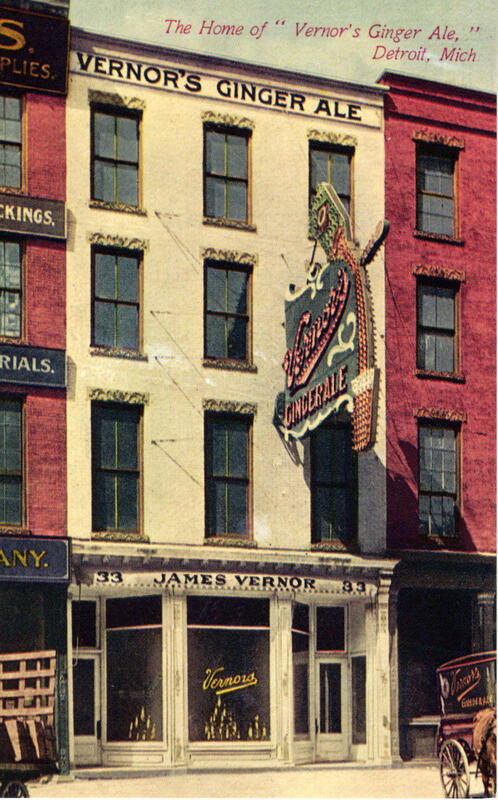 Of course I called her and she asked if I still drank diet Vernors (they lost the apostrophe a few years back). 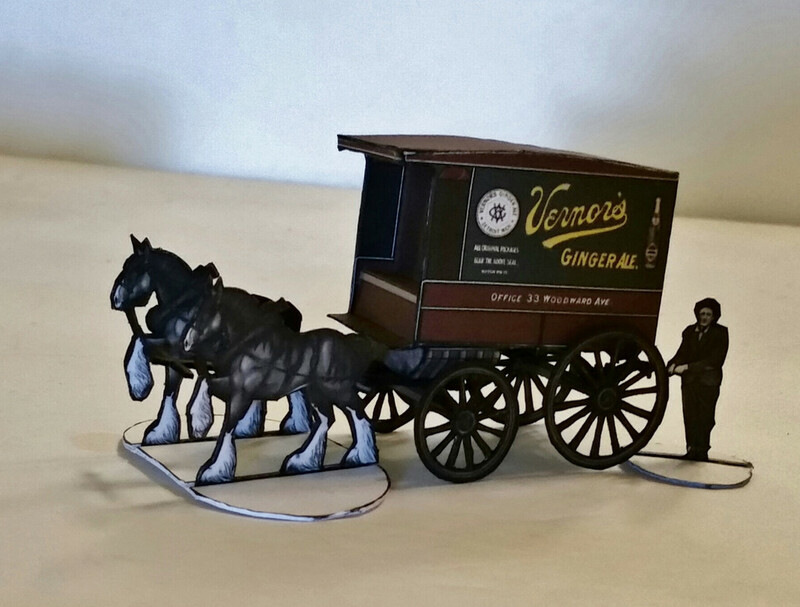 You see Shelly is a Michigander, so Vernors is a staple she introduced me to back in the early 80's. Then I got the flu and when I stopped at the Walmart Neighborhood Market, they had some. 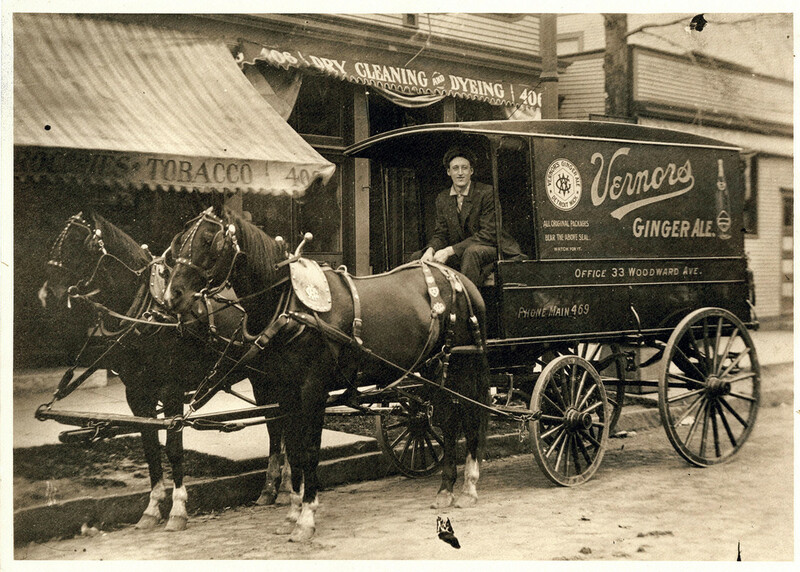 I first heard of Vernors in a novel written by a friend and former USAWC colleague - a Michigander, of course. I really like the delivery wagon. 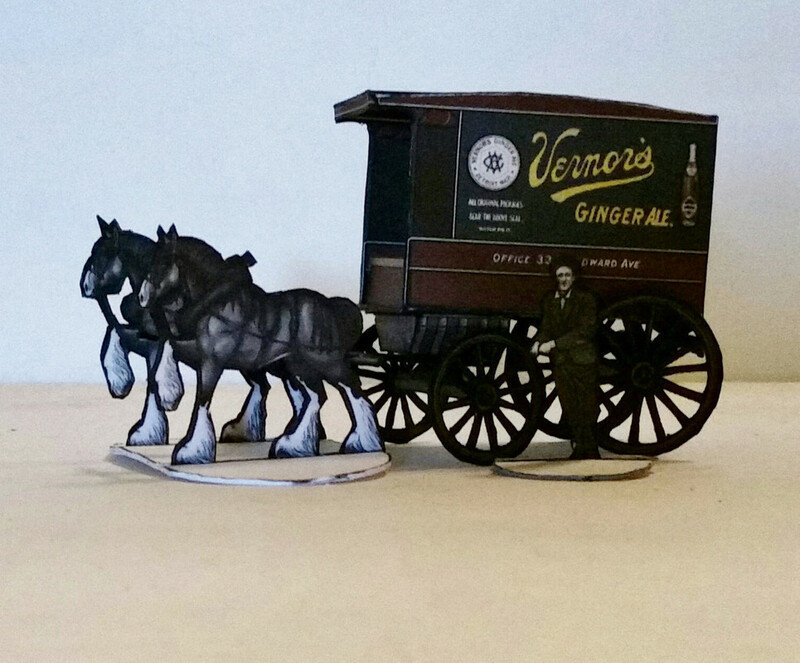 Puts me in mind of a similar 1/87 plastic item by Jordan Highway miniatures, several of which appeared in the town of Conodoguinet Springs, a stop on the HO scale Carlisle & Cape May Steam Navigation Company. 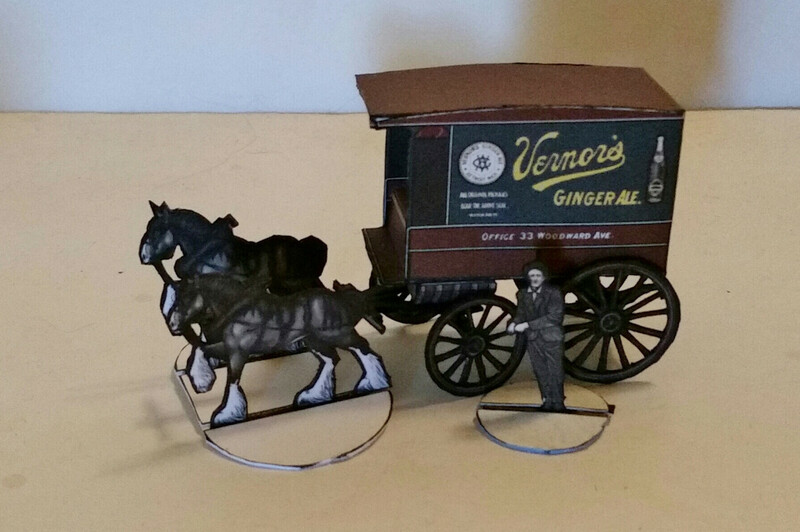 It seems as if a simple diorama could be made based on that excellent 1909 image. Pretty neat. Is it safe to assume you are over the flu and the bronchitis now? Never heard of the product, being Scottish, but lovely model. Yes, and the side effects of two rounds of prednisone and two different antibiotics. A bit of a rough almost three weeks there.